Founded as BlogMutt in 2011, Verblio now serves 1,500 businesses every month from beautiful Boulder, CO.
Quality writing comes from happy, motivated writers. We ask for excellence and support their success. Our online writers' forum is an active community and connection creates better content. Variety is the spice of team Verblio. We’re a supergroup of SEO-philes, content connoisseurs, designers, engineers, and entrepreneurs. Left brain, right brain, together = just-right brain. We’ve built a super cool technology platform, but deeply-personal content comes from humans. Beyond the binary code, team Verblio is a well-rounded group of reasonably intelligent people. Want in? Check out our open jobs now. 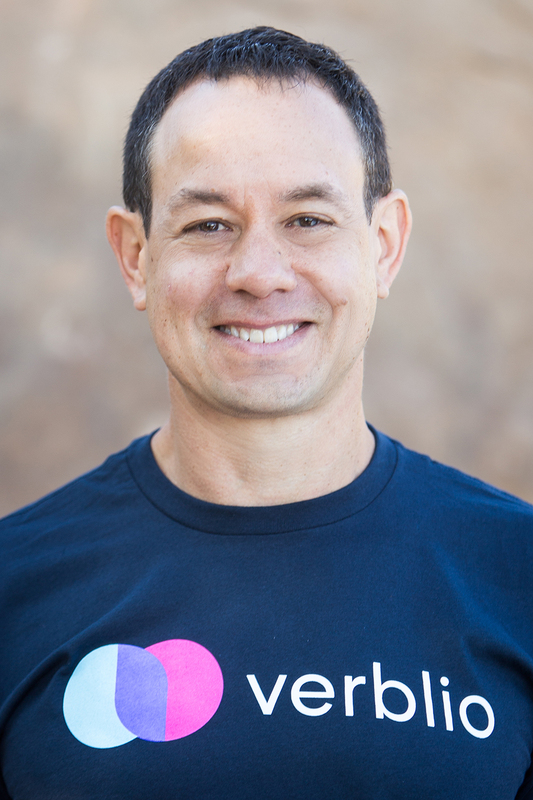 Steve brings more than 20 years of startup, nonprofit, and Fortune 500 experience to his role as bon vivant of Verblio. 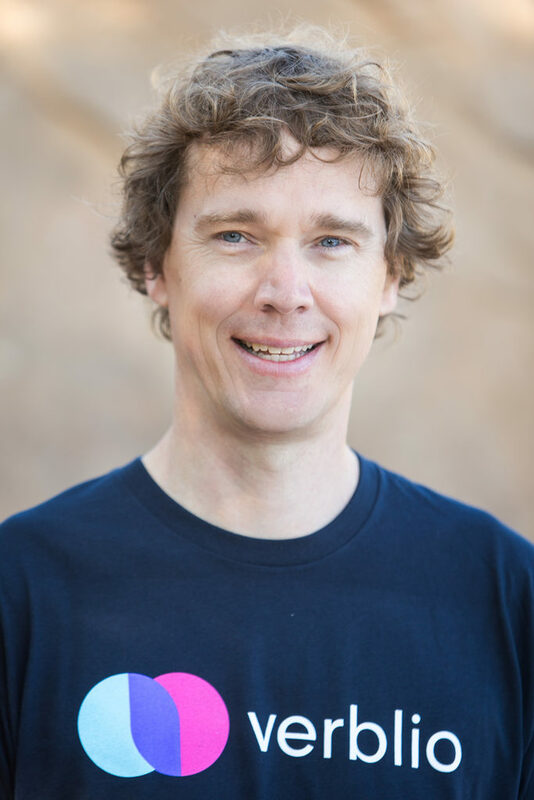 He was part of the early management team at crowdsourcing pioneer LiveOps and previously led five SaaS and marketing businesses. Outside the office, Steve enjoys ultimate frisbee, telemark skiing, hosting jazz concerts, and spending time with his two boys. He also writes for the Verblog under his very own category—Spockross. Read Steve’s posts. 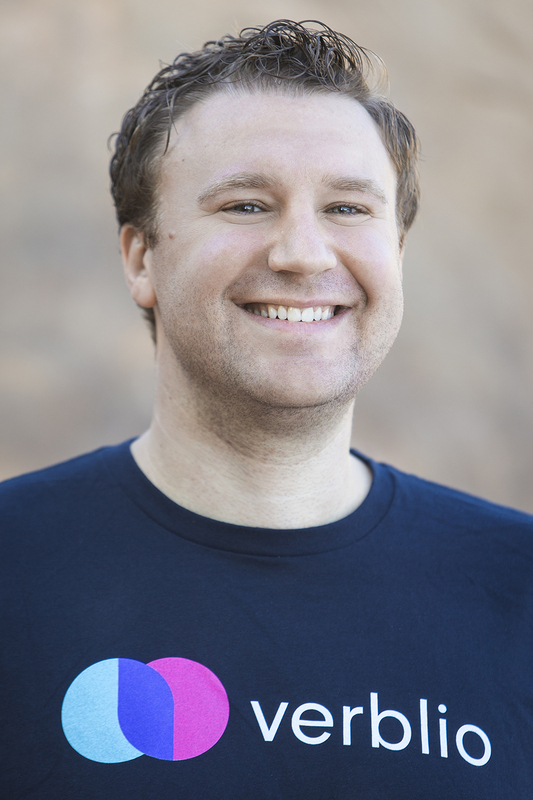 Wade is both a technology officer and a gentleman, and he has been a fixture in the Boulder startup scene for years. He began his career as a tech newbie working for Accenture and moved on to various consulting roles in telecom before joining a startup in 2000. Wade later worked with Verblio co-founder Scott Yates on MyTrafficNews and LegislativeDatabase, with a stint at Abacus/Epsilon in between. While we write words, Wade writes code. 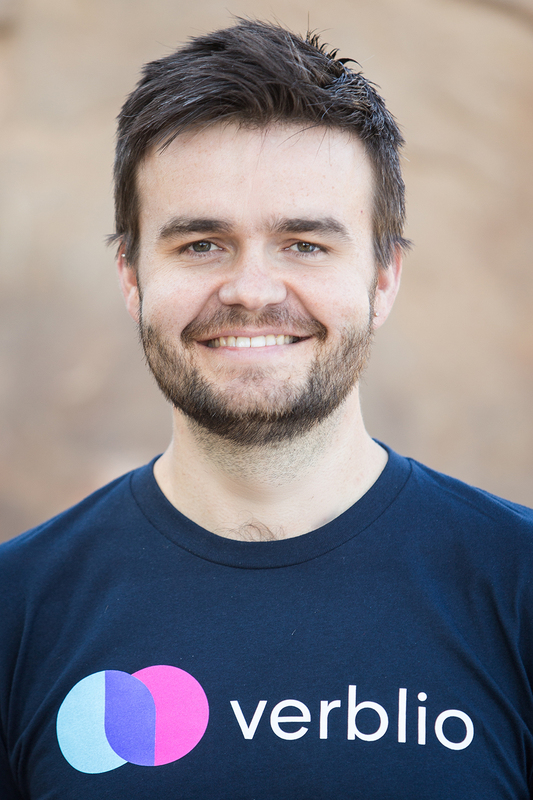 Paul runs marketing at Verblio and is a self-proclaimed digital marketing and SEO nerd. When he's not helping sad, empty blogs find Verblio content, he enjoys writing and spending time with his wife and two daughters. His prerequisite I-live-in-Colorado activity is snowboarding. Verblio colleagues do not approve of his favorite word. As director of operations, Zoe draws on her background in business and film production to help Verblio customers tell their stories. Outside of the office, Zoe does all the (Boulder) things—hiking, cycling, running. Only her complete disinterest in snow sports differentiates her from your average Boulderite. Yet somehow, we’ve found it in our hearts to forgive her. Mandi loves to find simplicity and beauty in the most complex challenges. Her role as Director of Design and Product at Verblio allows her to honor her roots as a true polymath. 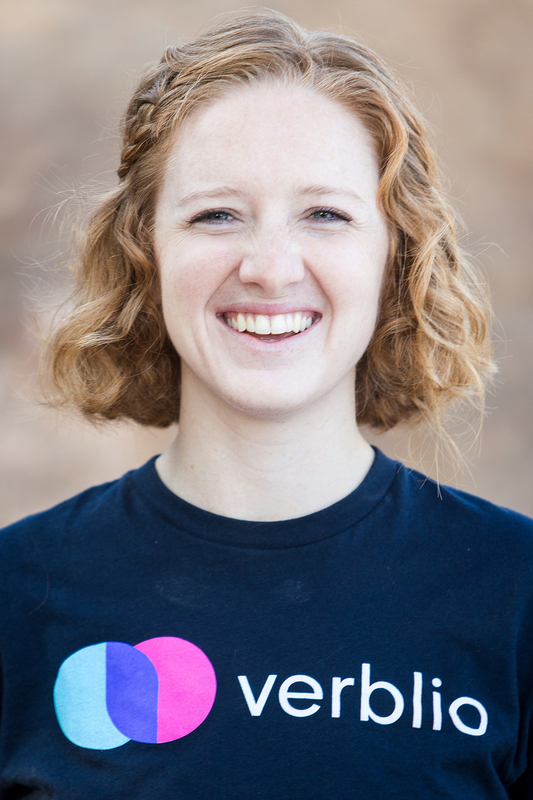 For the past 8 years, Mandi has worked at fast-growing startups in NYC. Recently, she and her two orange tabby cats relocated to Denver, where they are enjoying their sweet views of the Rocky Mountains. 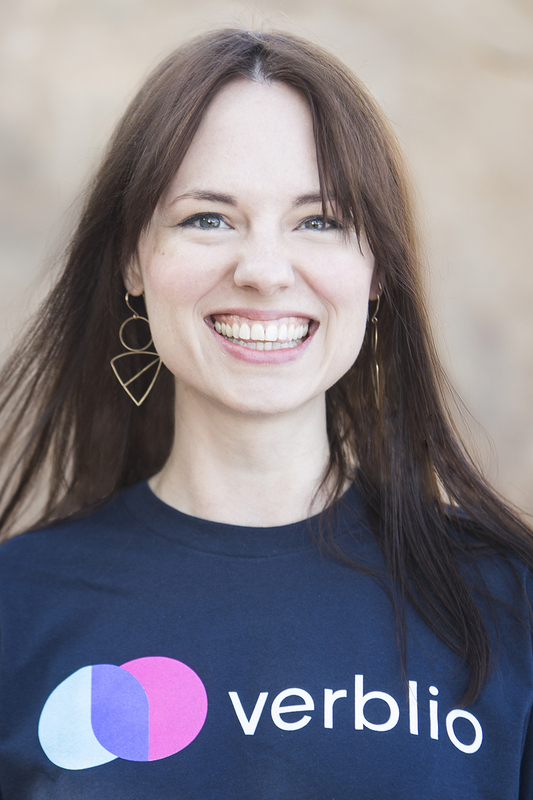 When she’s not working on the latest UX innovation for Verblio, she enjoys music, the outdoors, storytelling, games, and tacos. Kali exemplifies content marketing enthusiasm and enjoys creating content about content creation for other content marketers. She loves getting the word out about Verblio and helping businesses co-create-content that’s authentic and engaging. 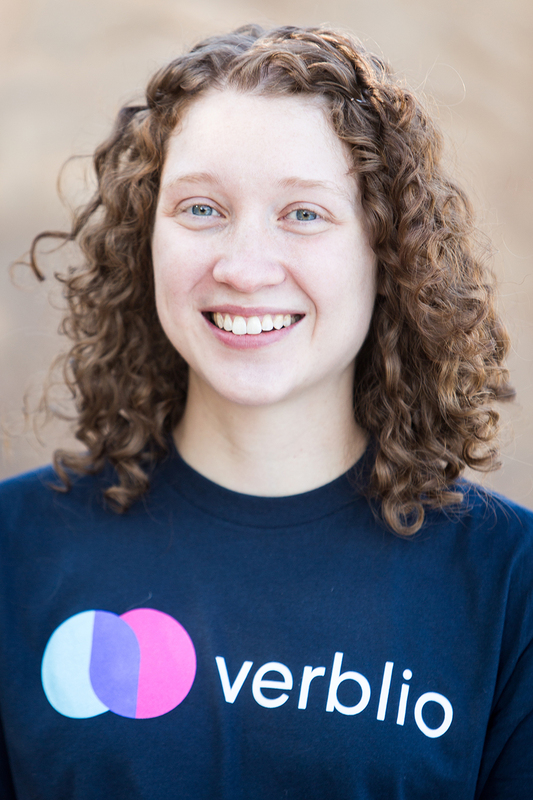 Apart from Verblio, Kali is passionate about puns, foreign languages, Colorado at large, staying active, and her rascally doggo, Ollie. Max is a developer at Verblio. 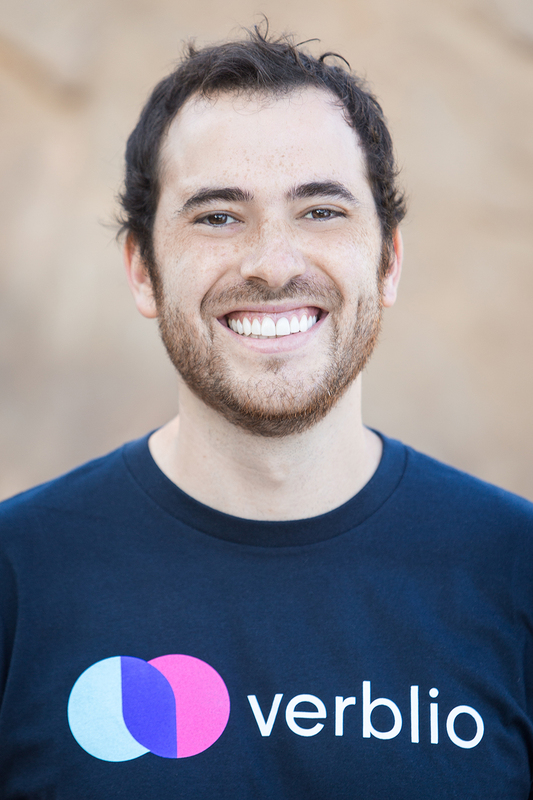 He has a degree in computer science and has worked at startups and big enterprise operations alike, ultimately deciding that the startup life is the life for him. You'll never see his best work up close, you'll just see that the Verblio platform runs like butter. That's Max's doing. He loves all Colorado activities, even though he doesn’t live here anymore. 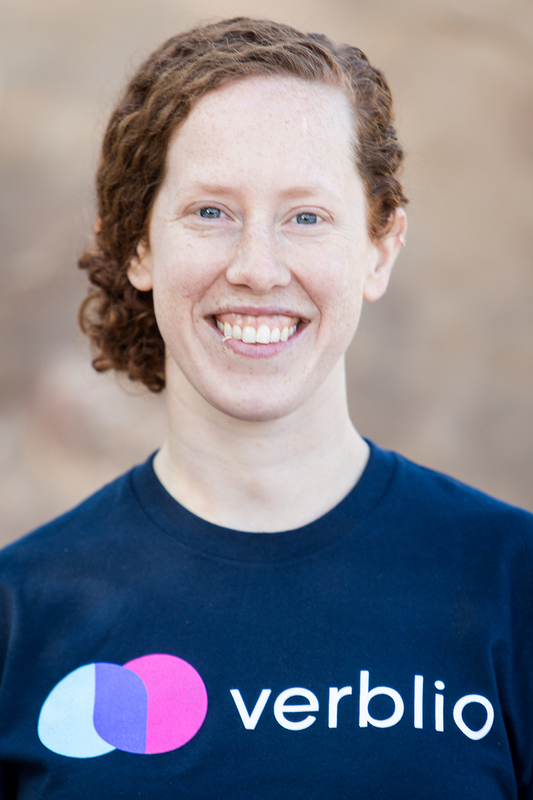 Molly is a former freelance writer turned data wizard. She's most often found playing matchmaker between customers and writers, but it's a toss up as to whether she's writing a SQL query or instantly recalling a writer's weirdly specific expertise. Molly has a degree in linguistics and loves data-driven decision-making almost as much as she loves arguing about semantics. Outside of the office, she enjoys the specific Colorado activities that horrify the rest of the team: splitboarding, ultra-running, trad climbing, and thru-hiking. 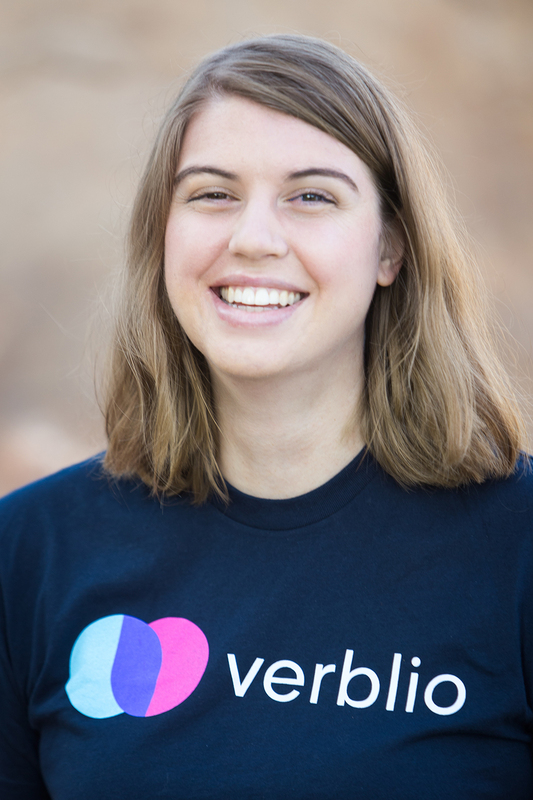 Sara heads up customer support at Verblio and is passionate about continually improving the customer experience. She has a degree in business management and economics. 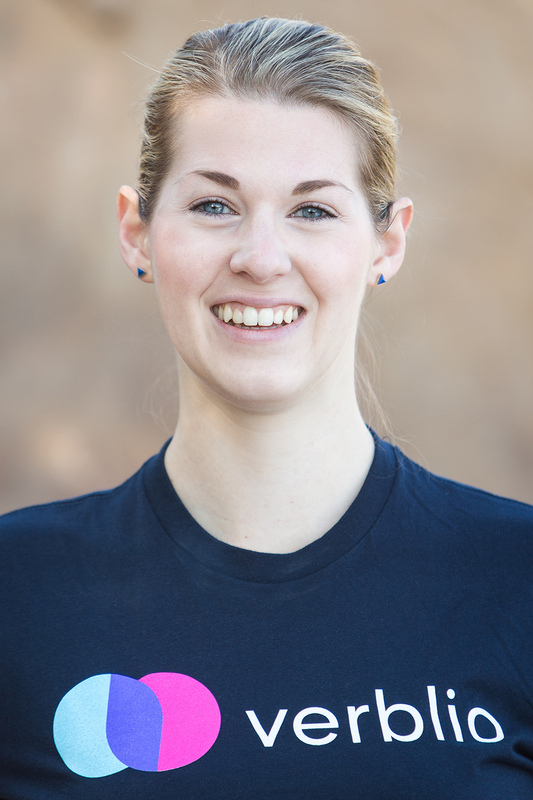 When Sara isn’t working with clients to ensure they receive outstanding content, she can be found hiking, skiing, or working on her roundhouse kick. 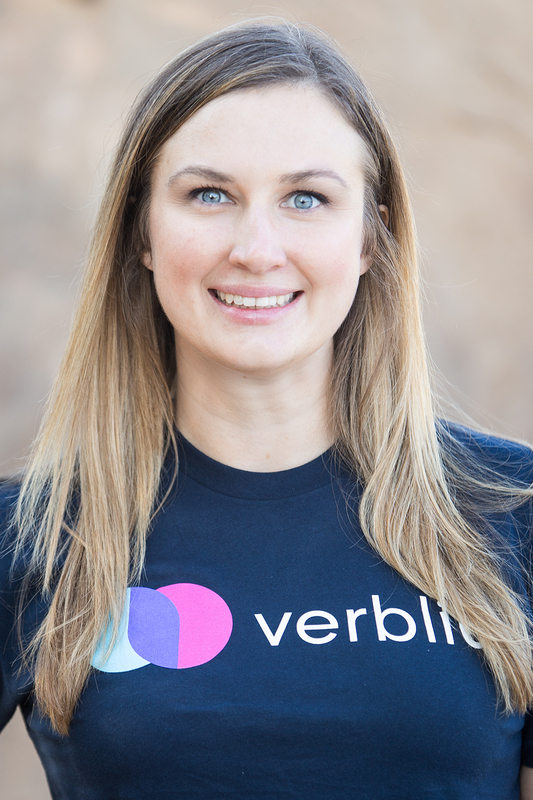 With over six years of SEO and content marketing experience, Caroline is thrilled to bring her expertise to Verblio’s diverse customer base. When she’s not in the office, you’ll find her painting outdoors, perusing her favorite volumes of poetry, and fawning over other people's dogs. Caroline is also Verblio’s elusive, enigmatic dolphin tamer, a skill she picked up from five years of living in Hawaii. Alexa is a trilingual bibliophile with a severe case of nerdiness. 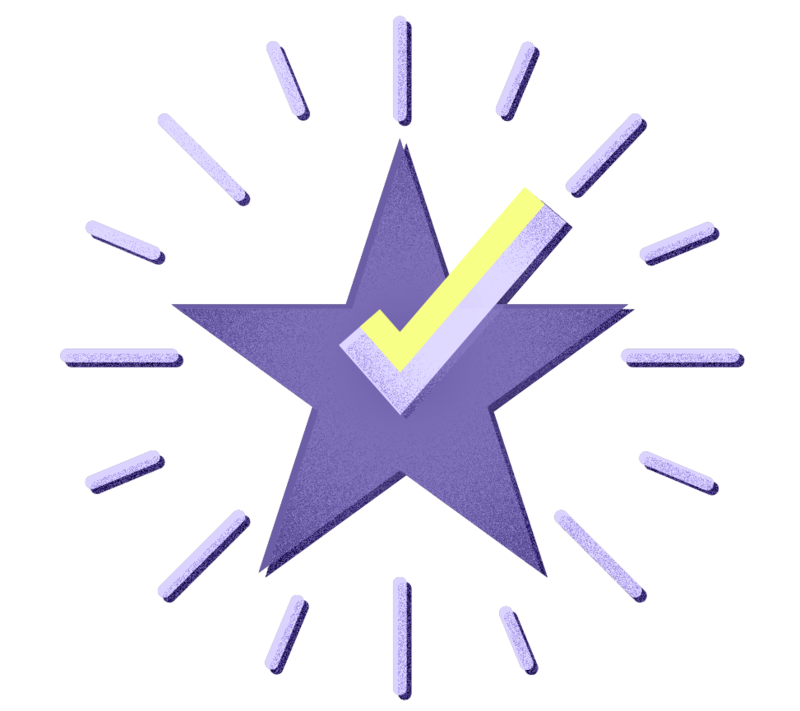 Her Verblio journey began in 2016, when she first became a BlogMutt writer. From there, Alexa inexplicably found herself in the role of account manager, and finally coerced worked her way into the operations team. Now, she happily manages Verblio’s professional services from her home office in Florida. When she’s not spamming Slack with pictures of her husky, you’ll find Alexa playing video games, boating, re-reading Harry Potter, or singing showtunes. Want in? Here are the jobs open now. 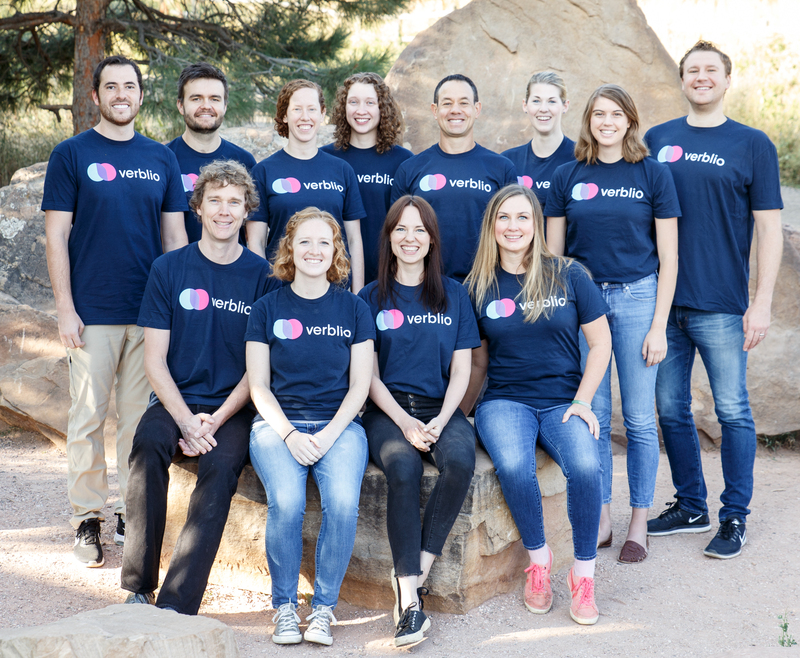 We’re Verblio: a unique content writing startup in Boulder, CO. Content is the foundation of successful customer acquisition marketing for businesses today. And content effectively means time, resources, and talent. Many companies simply can’t compete against the larger players in the new digital marketing era. By building a network of over 3,000 professional writers, we have the resources for modern businesses to outsource their content needs. To do all of this, we’ve created a high-performing SaaS startup in Boulder led by a 15-year crowdsourcing industry veteran and staffed by a team of 11 energetic, eclectic startup junkies (degrees on our team range from philosophy, to economics, to Latin American history). We work hard, have fun, learn a lot, and are proud of our transparent, collaborative culture. We also believe in doing good, and that creating great opportunities for home-based writers is just as important as helping our clients find their next customer. This year we won our fourth Mercury 100 award as one of the fastest growing companies in the Boulder Valley in the past couple of years, and we’re looking for talented individuals to help us scale to the next level. We’re looking for someone to join our Revenue team (our marketing + sales team). The Revenue team is currently 3 people + a number of contractors & a marketing agency. We’re responsible for a lot: finding new customers, working with our product, operations, and development team to build new products to serve our customers and monetize them, and other projects to amplify the Verblio brand, improve client retention, and more. Most of our marketing is digital. We do lots of work with SEO, content marketing, CRO, retargeting, and email marketing. We do some work with digital advertising, social media, and more. We also do some event marketing and will be experimenting with other offline channels like direct mail. We’re looking for a junior member to help drive projects forward and increase our bandwidth. It’s a small team, and a lean organization, which means you’ll wear lots of hats and get exposure to tons of different marketing and sales initiatives, as well as broader exposure at a rapidly growing startup. An amazing opportunity for someone early in their career who is hungry, wants to grow and learn like crazy. Mostly marketing, but some sales too (inbound, not outbound—you’ll talk to prospective customers who have questions and do demos...you won’t make cold calls). You’ll need to be comfortable talking with prospects and customers via phone and video calls. A great place to take initiative, find stuff you’re passionate about and run experiments to see if it works. An awesome place to grow your digital marketing skill set. We live and breathe digital—SEO, content marketing, copywriting, and more. Involves some grunt work. You’ll have tons of exposure and the opportunity to own big, important projects, but it won’t all be glamorous. A typical 9-5 corporate job. If you’re not in on living and breathing content and want to never think about work outside of the office, this is not the place for you. Easy. There’s lots to do, there are big challenges. Good for senior-level applicants. If you’re just out of school with a good internship experience or have 1-3 years of experience, you’re in the right ballpark. Good for someone with isn’t comfortable with data and entranced by numbers. You’ll need to be comfortable in Excel/Google Sheets, and you’ll need to know or rapidly learn Google Analytics & other digital analytics tools. Good for someone who isn’t interested in digital marketing. If you don’t at least know the words SEO, content marketing, retargeting, or paid search—this probably isn’t a good fit. Super structured—where you’ll know exactly what you’ll be doing every day, and do the same things each week. Creation & analysis of new email campaigns, newsletters, etc. If you’re still interested after all that, we definitely want to hear from you.